Faringdon Country Market - Faringdon Community Website. The Faringdon Country Market (formerly the Faringdon W.I. Market) has been successfully trading in the Corn Exchange since 1986. It is part of Country Markets Ltd., a national organisation which is a membership-based, co-operative social enterprise selling home-made, home-produced and hand-crafted produce directly to the public (www.country-markets.co.uk). We are a “not for profit” organisation but cover operating costs by taking a 10 to 15% commission on producers’ sales. 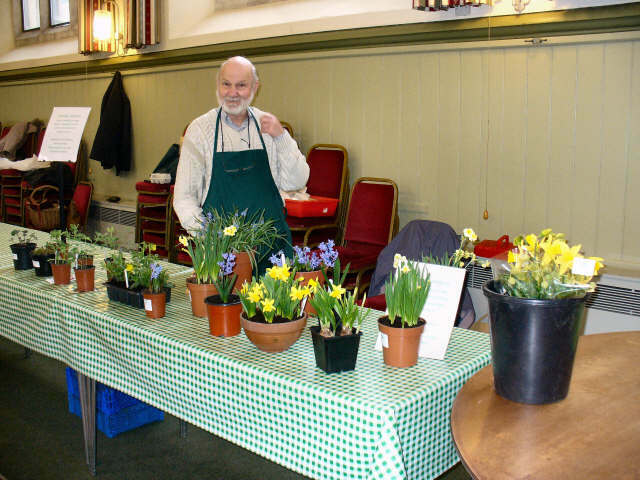 Our weekly market is held every Friday morning from 9.15am until 11.00am (Closed Christmas to mid-January, Good Friday and 1 week in October when the Faringdon Art Society Exhibition takes place. Notice of these closures is always given well in advance. 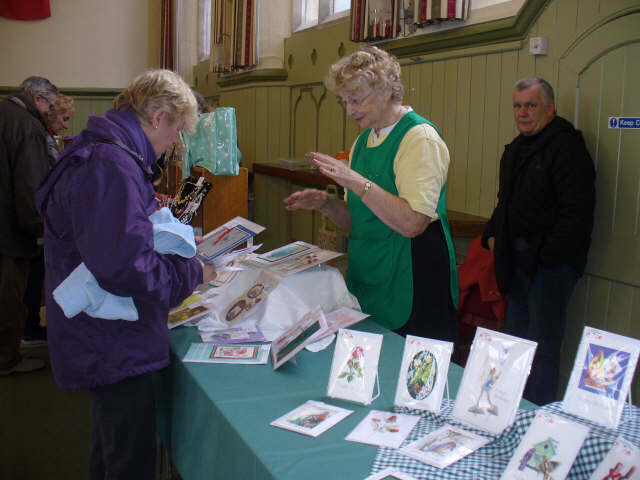 A wide range of craft items (including greeting cards, knitted children’s jumpers and toys, bags, scarves, hats, soaps and other perfumed items, jewellery and woodcraft). All cooks have an up-to-date Food Hygiene Certificate and we have been awarded the accolade of “5 scores on the door” by the Vale of White Horse Environmental Health Department. 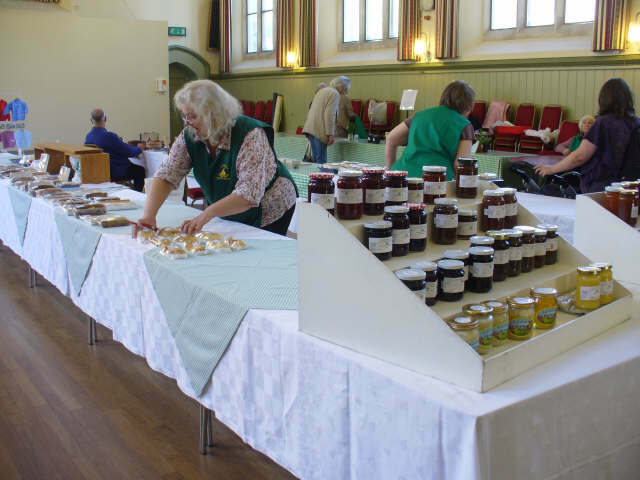 The market holds regular “Taster Mornings” at approximately 3 monthly intervals for customers to sample our edible goods and try out new ranges. To see this lively market at its best it is recommended that you arrive early! Because we value our customers and provide a good service, popular items are snapped up very quickly. To avoid disappointment, a facility exists to pre-order produce for those arriving later or for future dates. Market parcels/hampers can be ordered for special occasions (e.g. Christmas, birthdays, moving house, family illness, etc). These parcels are tailor made to meet your requirements and can be delivered countrywide to the recipient. If out of our local area we arrange this service through our other Country Markets. Parcels must be ordered and paid for in advance of delivery. A small charge is usually made to cover the cost of delivery.